How to buid a bbq grill of metal? It is very simple. We don't need in drawings or creating a difficult metal constructions with hard welding. A tank from junkyard will be possibly dirty and rusty. So use metal brush (or brush capping on angle-grinder) to clean your tank. Cut your tank with hacksaw or angle grinder to form a big cell with it cap (1). Big cell is for combustion, and also you can make a little one for ignition with its own cap (2). Little cap (2) is attached to grill with two bolts and nuts. It can easily turn around axis of bolts. 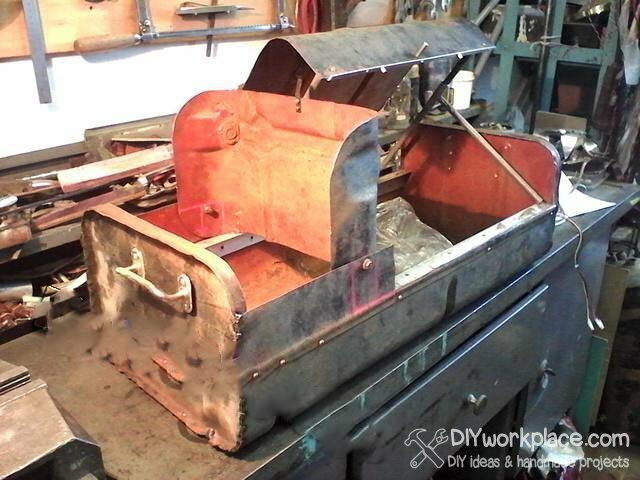 To open and close big cap you need to attach it with door hinges by bolts and nuts. Tank is very soft (cause of thin metal) so we need to make it stronger with struts (4), made of metal tubes. Also we need a prop (5) to keep cap opened, it is also made of tube. 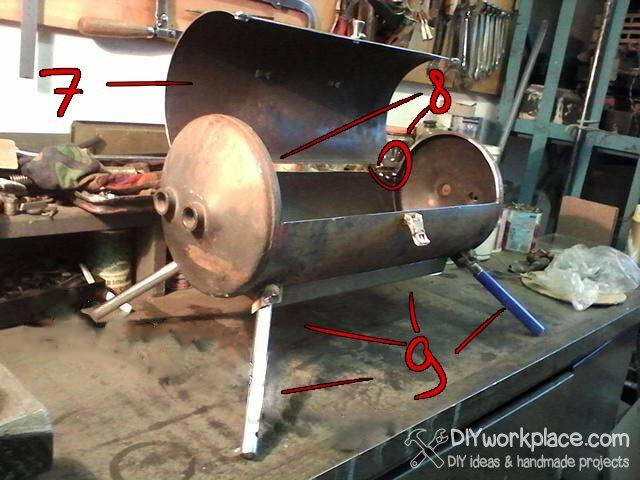 To make grill more comfortable to transportation, fix two door handles (6) on each side of grill. 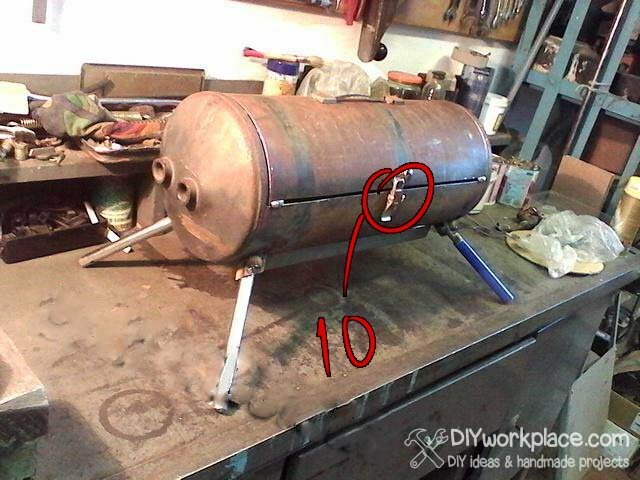 This DIY BBQ is stationary, but you can attach a legs to it. They could be made of metal tubes and attached by welding or with bolts and nuts. 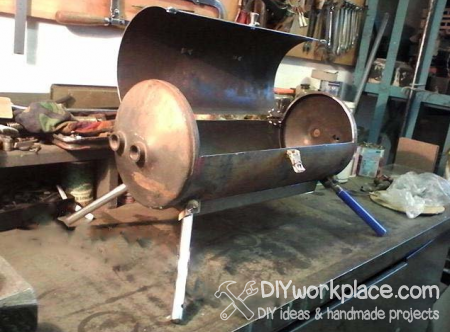 Second homemade bbq is made of gas tank that i've found on same similar. 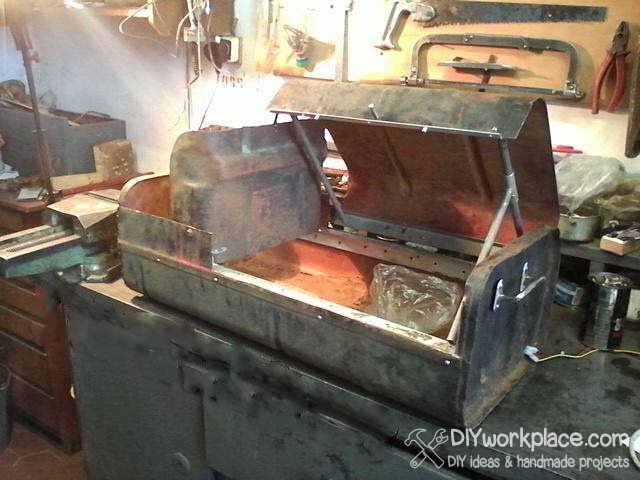 Cut it with hacksaw or grinder to make a cap (7). 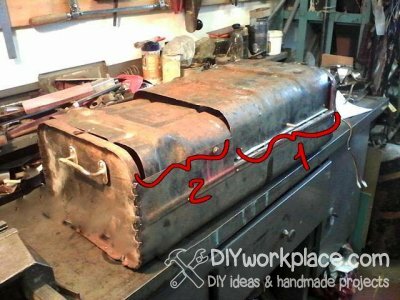 Gas tank is made of thicker steel than gasoline tank, so there is no need to strengthening it. 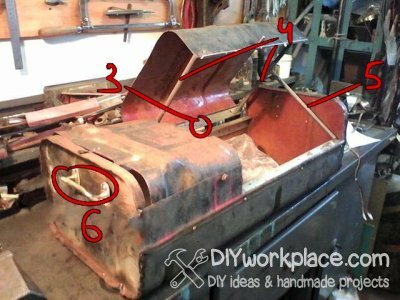 The latch (10) is attached to body and cap to easy close and fix the cap while diy grill are travelling in the trunk of your car. 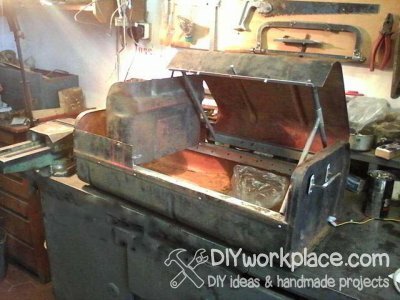 So it's not so hard to make a bbq grill, you need to properly choose a billet. You can place any picnic staff in gas tank bbq and place it in the trunk of your car. And if you are cooking in public picnic park or trailer camp with diy bbq grill like these ones, you will achieve admiring glances from mature mans, children and other Fallout fans!